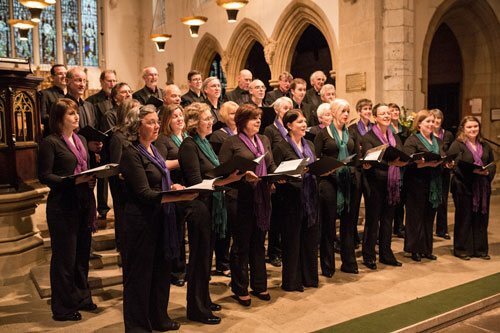 Under the assertive direction of Benjamin Morris, the repertoire was handled impressively by the Chapter House Choir, who maintained clarity and balance throughout the entirely a capella programme. … Variation of vocal colour was abundant: intimate in Shaw’s Lute-book Lullaby; deftly playful in Walford-Davies’s The Holly And The Ivy; sinuous and serene in Howells’s A Spotless Rose; rich and warm for Howells’s Sing Lullaby. The Handbell Ringers performed magical, surprisingly delicate, festive carol arrangements, making the evening, if possible, even more Christmassy. Carter’s deceptively simple yet ravishing arrangement of Stille Nacht was a delightful encore. It was a privilege to be there. 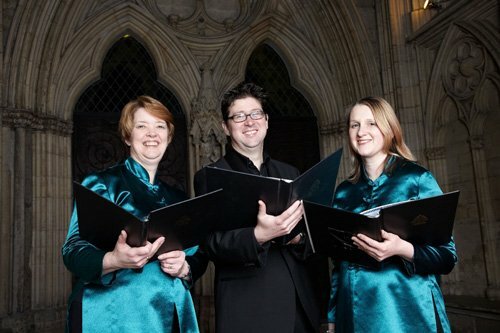 Last night’s concert in York Minster was a real joy. Both the Chapter House Choir and the Chapter House Youth Choir are exceptional groups – full of excellent singers, but hugely successful as ensembles too. It was a privilege to share the stage with both of them. The choir was keenly theatrical, too, often a cappella; several triumphal moments were balanced with a beguiling serenity, notably in the lovely harmonies of Motet V (By His Name All Storms Are Quiet). The whispered prayer to archangel Michael followed by wordless evocation of the heavenly choir and thunderous organ provided a potent finale. 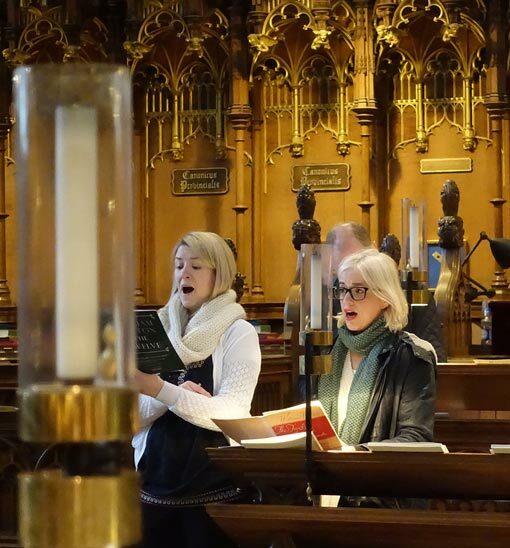 …the variety of their sound quality, their excellent diction, and the purity and unanimity of the upper voices demonstrated some of the attributes that account for the Chapter House Choir’s longevity. The choir’s handbell ensemble punctuated the programme with a visual and aural spectacle: their ingenious carol arrangements mingled festively with the distant bells of St Wilfrid’s across the road. A PROGRAMME entitled For the Fallen was always going to be sombre, but it was absolutely in tune with this year’s centenary Remembrance commemorations. Significantly, all but one of the pieces was by a British composer. Douglas Guest’s chorale-like setting of Binyon’s For the Fallen, Edward Bairstow’s honest arrangement of Gibbons’s Jesu, Grant Me This, Francis Pott’s impressionistic The Souls of the Righteous (with tenor soloist Dan Hunt), and Alexander L’Estrange’s close harmony setting of Thomas’s Rain, were especially effective in this moving anthology. 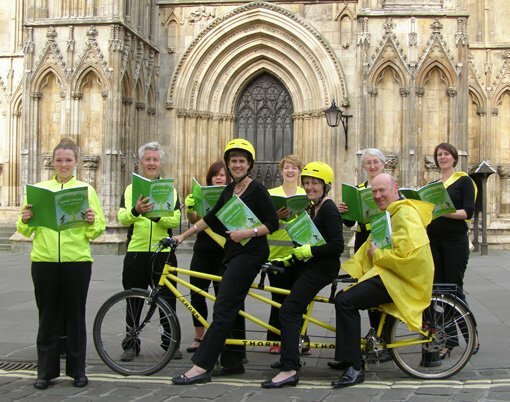 Saturday night’s concert in York Minster was a true celebration of cycling, singing and Yorkshire… From the heartfelt to the hilarious, each of the assembled choirs had their moment to shine, with highlights including the assembled children for Fine And Dandy and the men taking the fore in The Men Who Ride For Fun. Congratulations must go to the Chapter House Choir for this ambitious commission and welcoming Le Grand Départ with singing and smiles. Terrific singing tonight from The Chapter House Choir and Coro London in a very special memorial concert. …The overall effect was immensely satisfying. Phrases were shaped with tender consistency. Straight tone made for very accurate tuning. Above all, there was an awareness between the voices of where the focus should be, so that lines ebbed and flowed seamlessly in and out of the texture. There were forceful Alleluias aplenty, but balancing moments of lovely restraint. Illuminating, indeed. The Chapter House Choir purred into fine form [for the concert] with a moving performance of Elgar’s As Torrents In Summer. The composer’s My Love Dwelt proved to be another choral gem and the choir clearly relished the beautiful sound world – the call and response motif staying long in the memory… The choir sang…[with] clarity and balance, a real mark of quality…The part-singing and interweaving of lines was delicious, the tenors a massive bonus to the choir’s balance… The Bob Chilcott commission, Marriage To My Lady Poverty, had a lovely haunted quality with hypnotic ostinato patterns supporting the work’s flowing melodies, the delivery was both poignant and assured.